The Northern Arizona University men's program had quite the evening on Wednesday. The reigning NCAA Division I champions in cross country gained the commitments of two national-level athletes from Wisconsin, including the nation's current No. 1 runner on the MileSplit50, Drew Bosley, and high-level recruit Caleb Easton. A senior from Homestead High School, Bosley owns the ninth fastest 5K in the country this fall and is coming off a win at the USA Junior Track and Field Championships in the 5K. He broke 9-minutes twice in the 3200m, including a personal best 8:59.04 that won him a Division I title in Wisconsin, and earned a victory at his first Division I cross country state championship in 2017. He also claimed an NXR Heartland title in a then-personal best time of 14:53.54, before going on to score identical seventh-place performances at both Nike Cross Nationals and Foot Locker Nationals. In the spring he also posted a mile best of 4:08.82, which returns as the fourth fastest time in the nation this spring, and earned another state title in the 1600m in 4:10.39. Like his father before him, Bosley won Gatorade's Wisconsin Athlete of the Year, though he did it in both cross country and track and field, in his junior season. Bosley first reported his commitment on Instagram. 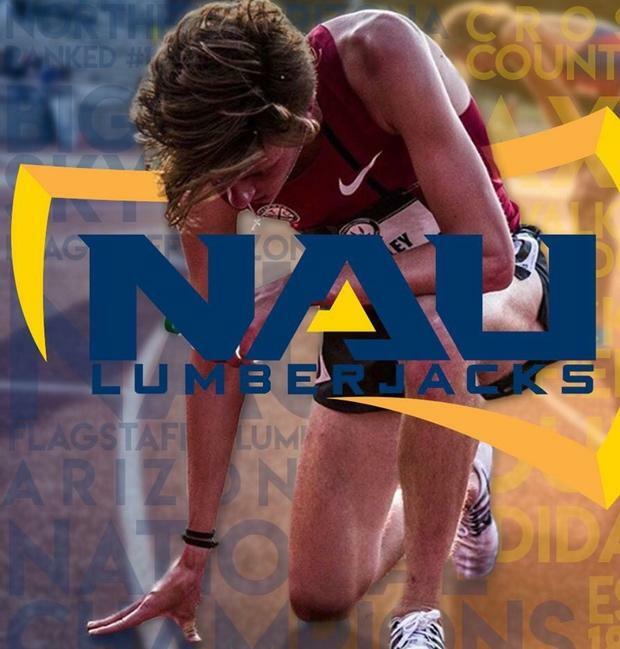 "I am excited to announce that I am going to be attending Northern Arizona University next year and joining their cross country and track program. During the recruiting process I was blessed to be invited to four unbelievably successful programs, rich with history and with coaches and athletes that were welcoming and passionate about distance running. It was both exciting and humbling to see the inner workings of programs that are committed to finishing on the podium in November. At NAU I found a group of men working together in an attempt to exceed their wildest individual and team goals. I am thankful to be able to join this group. I know running isn't the most important thing in life, but it's my favorite thing in life, so the thought of spending a few years in Flagstaff chasing dreams with some Lumberjacks in short shorts makes me smile." The Lumberjacks also garnered a commitment form Middleton (WI) senior Caleb Easton, who was eighth at last year's state championships in Wisconsin and was the runner-up in the 1600m in a career best 4:12.11. He's coming off a ninth-place performance at the Roy Griak Invitational in September and is hoping to lead his Division I squad to a potential state title in the coming weeks. Easton announced his decision on Twitter. "I am very excited to announce that I will be continuing my academic and athletic careers next fall at Northern Arizona University. I am very happy to be joining a culture driven team full of passionate people."